Firstly we would love to send our great thanks to you for using Noo Timetable. Noo Timetable is a super flexible schedule plugin for WordPress, with fully responsive interface and fascinating UI. It is absolutely suitable for fitness, yoga classes, medical departments, any kind of event calendars and so on. Noo Timetable will help you easily create a timetable with custom data just in a few minutes. 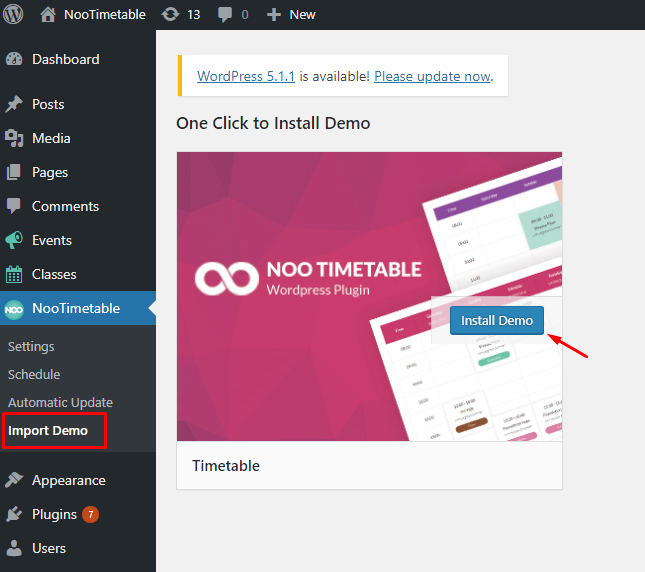 To use Timetable plugin, you must be running WordPress 4.6 or higher, PHP 5.6 or higher, and MySQL 5.6 or higher. 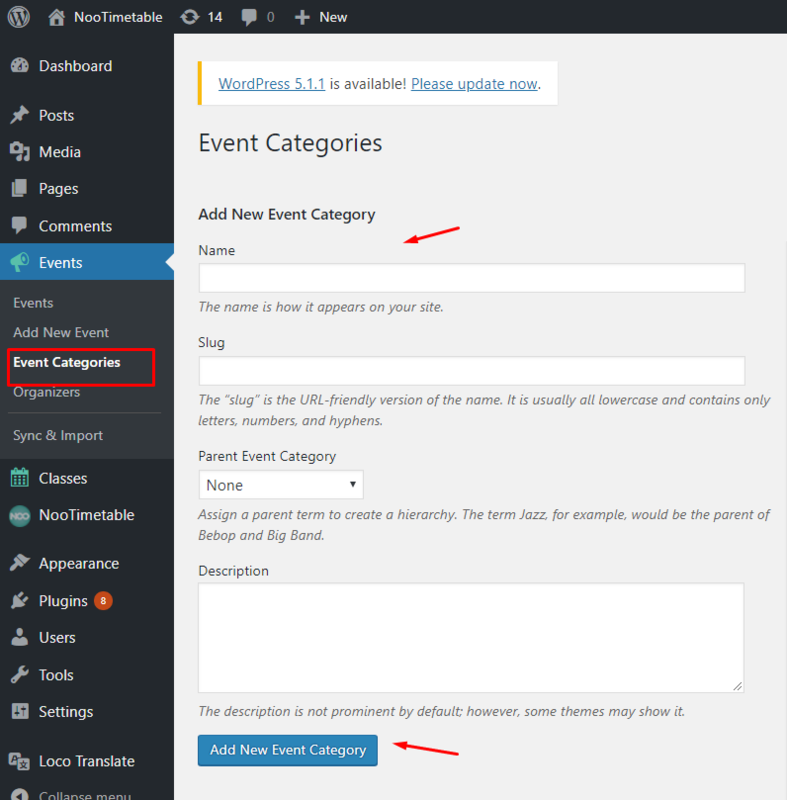 We provide you with NOO shortcodes icon located in the default WordPress toolbar. 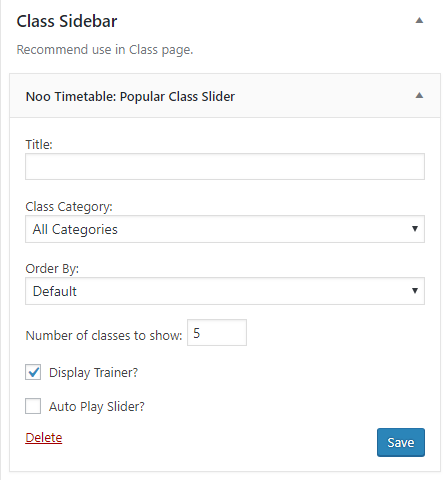 Click on NOO shortcodes icon selects Schedule shortcode which includes:Noo Trainer, Noo Upcoming class, Noo Upcoming event, Noo Class, Noo Event, Noo Schedule. You will add Classes,Class Level and Trainers in this section. 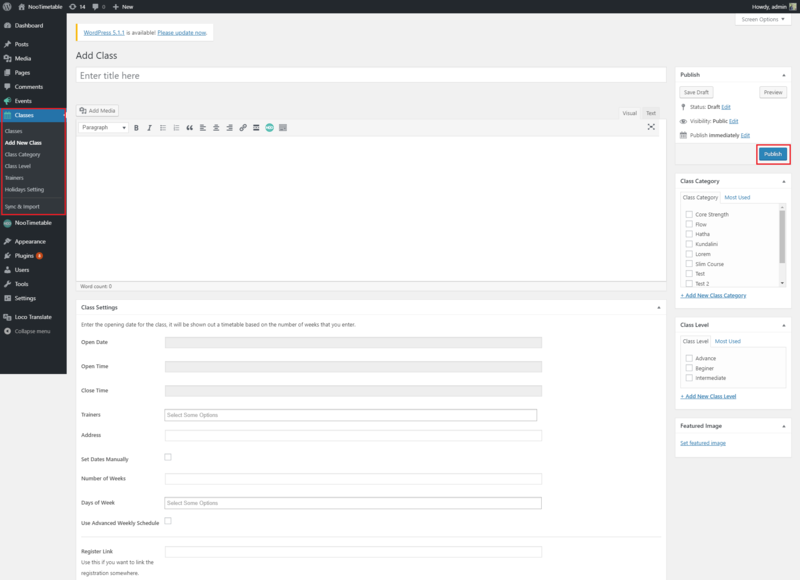 Settings: Determine how classes, events and trainers are displayed on the frontend. Classes URL slug: It is the slug used for building classes url. Number of classes on a page: the number of classes are shown on a page. 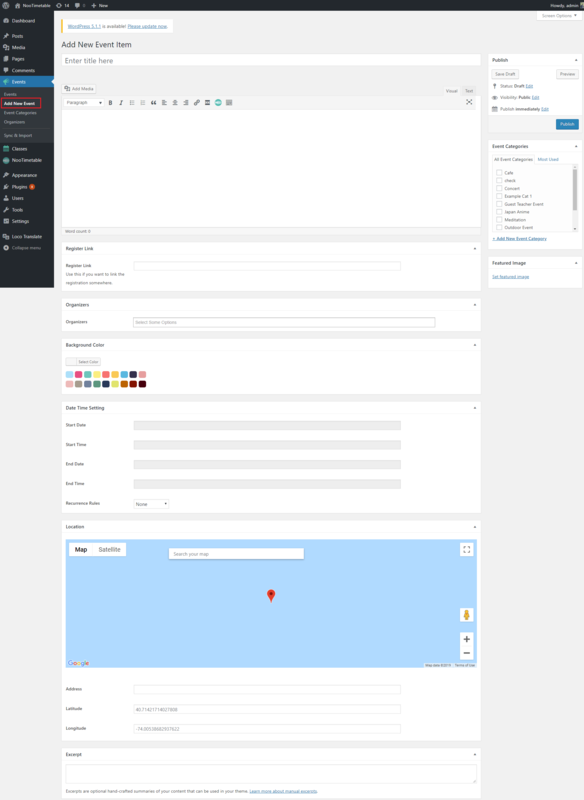 Class page layout: There are 2 layouts which are Grid and List . Number of columns: The number of columns are shown on the grid interface. It fluctuates between 1 and 4. 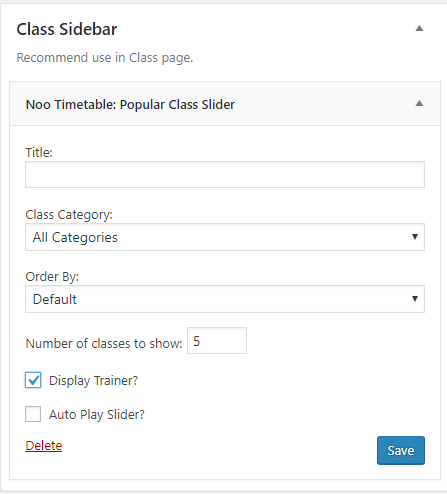 Order Classes By: Classes can be ordered by Open Date and Class Creation Date . Order Direction: There are 2 directions which are ascending and descending. Class excerpt length: Please enter the number for excerpt length. 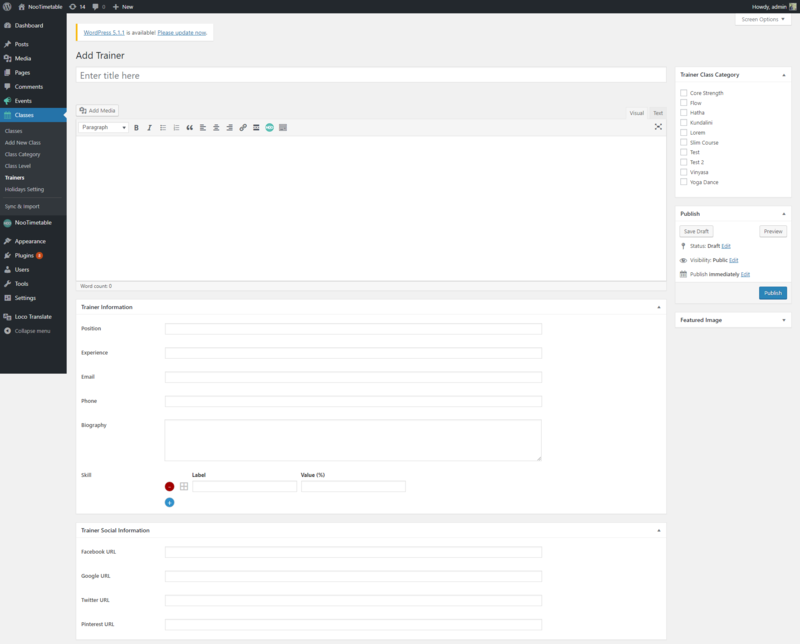 These options affect how trainers are displayed on the frontend. Trainer URL slug: It is the slug used for building the trainers url. Number of trainers on a page: The number of trainers are displayed on a page. These options control display of events on the site. Events URL slug: It is the slug used events url. 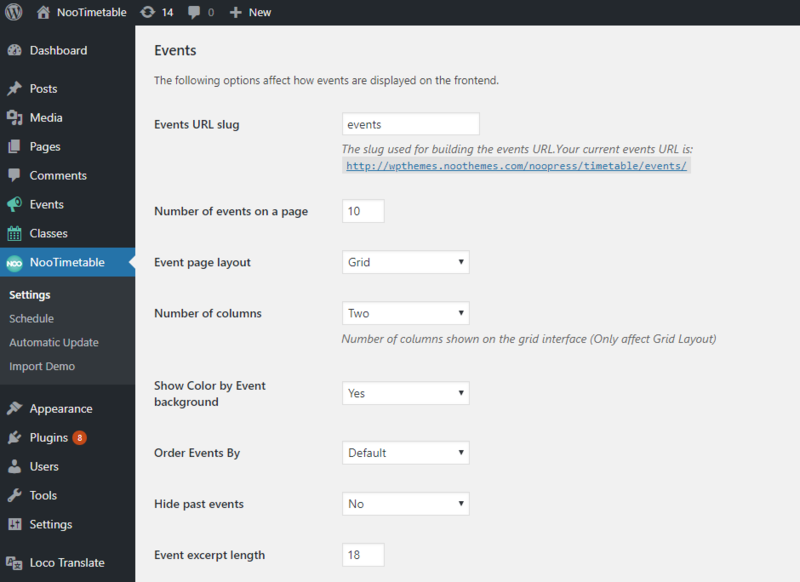 Number of events on a page: The number of events are shown on a page. 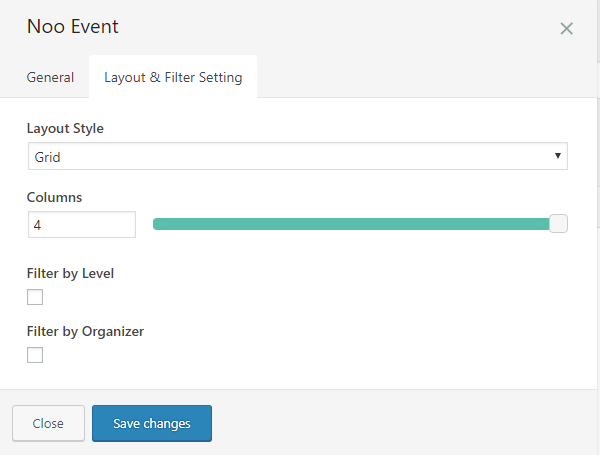 Order Events By: You can select event’s order in the drop-down list. There are 6 options: Default, Event Date,Recent Post Date First, Older Post Date First, Title Alphabet and Title Reversed Alphabet. Hide past events: Select Yes/No to show/hide past events. Event excerpt length: Enter length of the event excerpt. 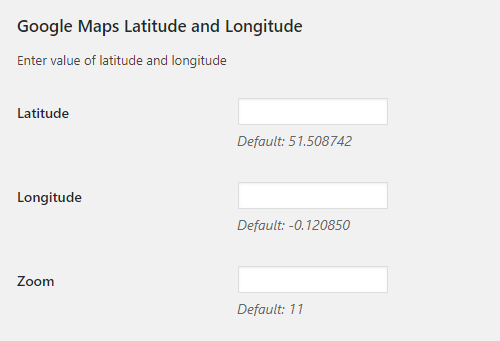 Latitude, Longitude: Enter a latitude and longitude of the location loaded on the map you want. You can go to this site to get latitude and longitude of the corresponding place. Zoom: Set up a default zoom level. Show Category Filter: Choose Yes/ No to show/hide Category Filter. Show Weekends: Select "Saturday and Sunday" to show both days or "Saturday" or "Sunday" . Hide = "None"
Show Toolbar: Choose Yes or No to show/hide toolbar. Click the backward and forward arrowhead to see the previous and next class schedule. Show Date: Choose Yes/ No to show/hide date on the first row of the schedule. Default Date: Enter a date here. This will handle which class schedule will be show firstly for viewers when they go to Schedule page. For example: if you input 2019-03-19, the first-viewed schedule in Weekly style will be the one including that date. In case, it is in Daily style, the first-viewed schedule will be the one of that day (19th March 2019). 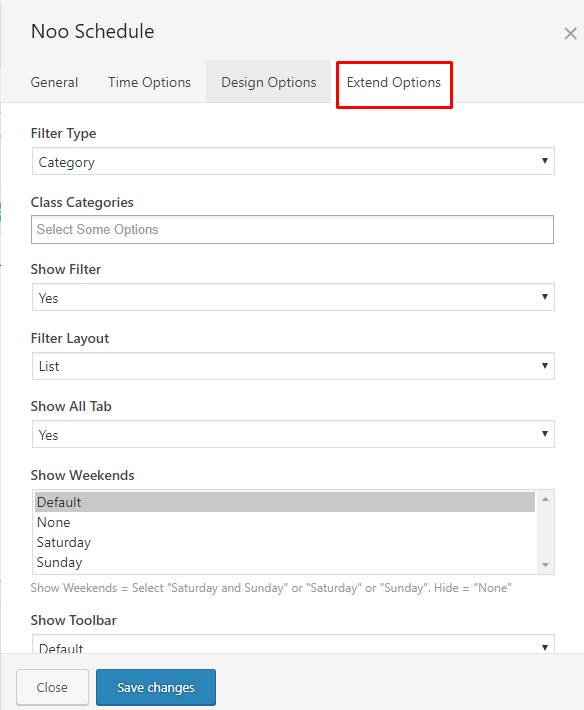 Show Class/Event info in Popup: In case you select No, when you click any classes in the schedule, it will direct you to a new window/tab to see those classes. Meanwhile, if you choose Yes, it will show you a popup including Class information when you pick a class. Show Class level info in Popup: Select Yes/No to show/hide Class level info in Popup. Show Thumbnail in Popup: Select Yes/No to show/hide thumbnail in Popup. Show Time in Popup: Select Yes/No to show/hide time in Popup. Show Title in Popup: Select Yes/No to show/hide title in Popup. Show Adress(Event) or Trainer(Class) in Popup: Select Yes/No to show/hide adress (Event) or Trainer (Class) in Popup. Show excerpt info in Popup: Select Yes/No to show/hide excerpt in Popup. Popup Style: Choose some options from the drop-down list.There are 16 pop up styles so that your pop up will be more conspicuous. Show Export: Choose Yes/ No to show/hide Export to iCal button at the bottom of the schedule . Show Category On Mobile: Select Yes/No to show/hide Category On Mobile . 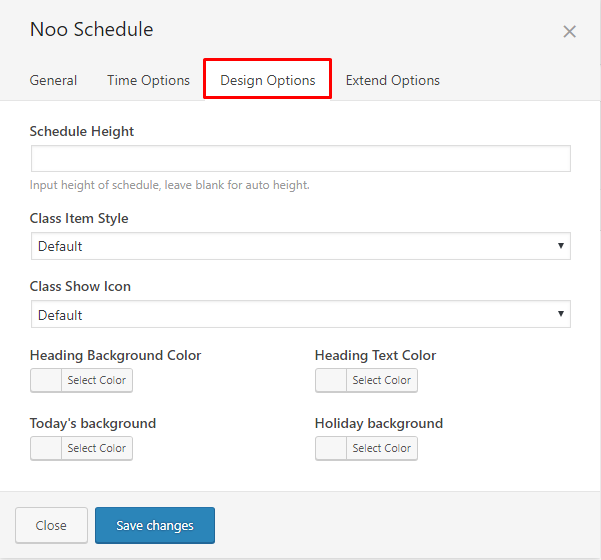 Show Class category: Choose Yes/No so that class categories will be shown/hide. Class Item Style: You can choose Category Color, Background color by category, Item Background Image. Show Class Icon: Choose Yes/ No to show/hide Icon. Show Event Icon: Choose Yes/ No to show/hide Event icon. Heading Background Color: Select a heading background color. Today's background: The current date class schedule will have the color you set in this option. Holiday Background Color: Select a holiday background color. Step 1: Go to Events/ Add New Event/ Enter title and content. Step 3: On the right side, choose Event categories and upload a featured image. Step 4: Click on Publish button. Step 1: Go to Classes/ Add New Class/ Enter a title and content. Use Advanced Weekly Schedule: If you tick this box, it will show days you set in Days of week section. Besides, you can set up Open time, Close time, Trainers and Address which will be prioritized. You can click + icon to add these items. 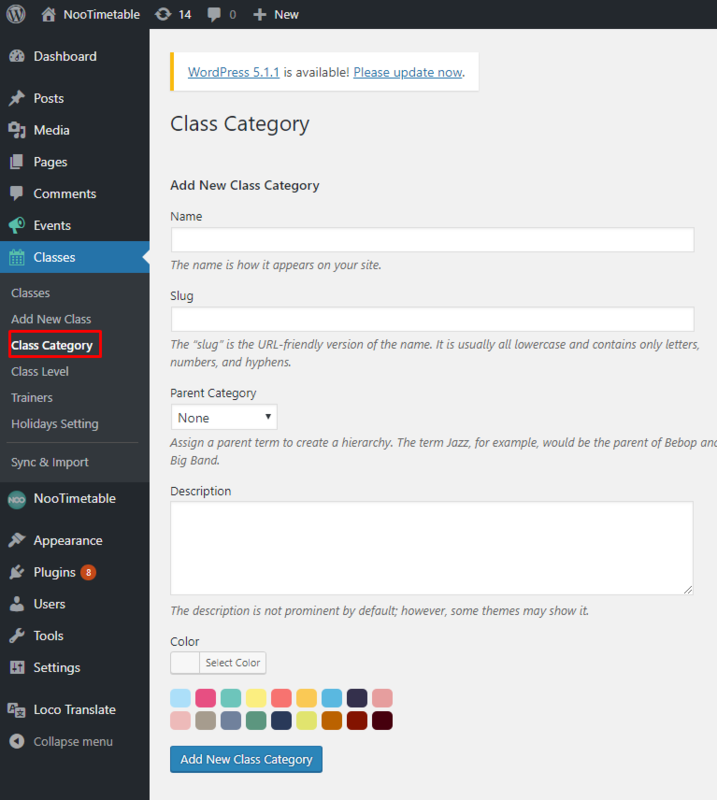 Step 3: On the right side, choose a class category, class level and upload a featured image. These options help you import classes by entering a link or click to choose file in the Import Source created in the google calendar. Title: Enter a title here. Sub Title: Enter sub title here. Layout Style: There are 2 styles which are Grid and List. Columns: The number of columns is shown. Trainer Categories: Choose displayed categories. 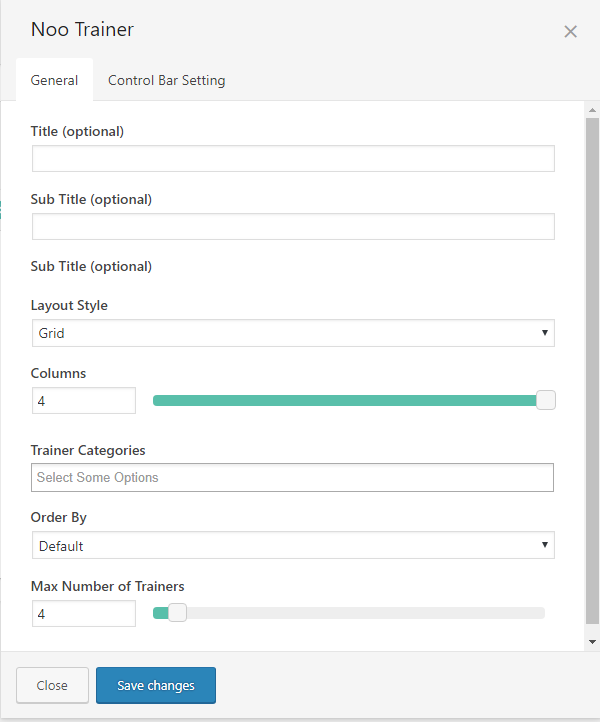 Order By: This option controls display order of trainers based on Default, Recent First, Older First, Title Alphabet and Title Reversed Alphabet. Max Number of Trainer: The maximum number of trainers is shown on the page. Hide classes are going on: If you tick this box, it will hide classes are going on. Style Pagination: Choose the pagination style you want to show:Default or Disable pagination. Order By: This option controls display order of classes based on Default, Recent First, Older First, Title Alphabet and Title Reversed Alphabet. Sub Title: Enter sub title . Order By: This option controls display order of events based on Default, Current date, Start date,Recent Post Date First, Older Post Date First,Title Alphabet and Title Reversed Alphabet. 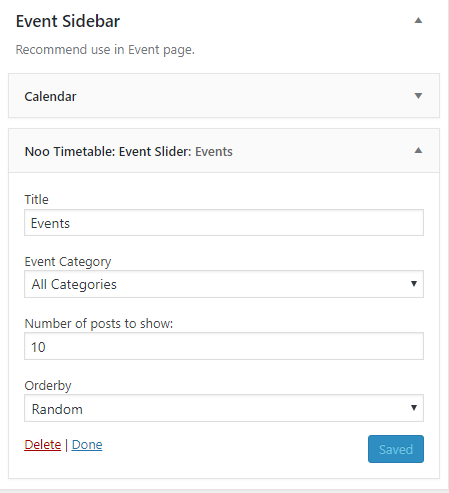 Number Item Displayed: This option controls display order of events based on Default, Current date, Start date,Recent Post Date First, Older Post Date First,Title Alphabet and Title Reversed Alphabet. 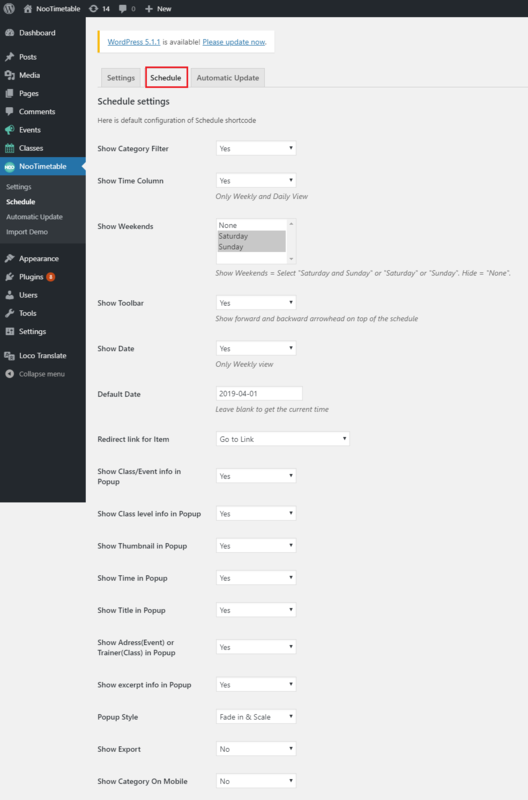 Schedule Max Time: Select a maximum end time for the schedule . Schedule Height: Input height of the schedule. Leave blank for auto height. Filter Type: There are 2 type of filter: Category and Level . Show Toolbar : Select Default, Yes or No to show backward and forward arrowhead on top of the schedule. Show Date : : Select Default, Yes or No to show/hide date. This option is only applied to Weekly view. Hide classes are going on:If you tick this box, it will hide classes are going on. Style Pagination : Choose the pagination style you want to show:Default or Disable pagination. 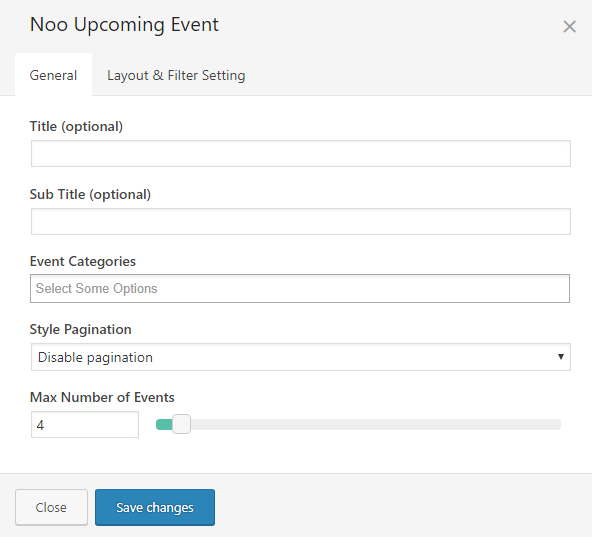 Max Number of Events: Enter the maximum number of events. Class Category: Select all categories or a specific category . Order By: This option handles the display order of classes on Class sidebar based on Default, Open date, Recent First, Older First, Title Alphabet or Title Reversed Alphabet. Display Trainer/ Autoplay Slider: Tick these boxes to show trainer and slider can run automatically. Number of posts to show: The number of posts is shown. When you come to this section, we hope that you found all the information provided in this documentation helpful and you have finished installing and polishing your site as what you have imagined of. After reading carefully this guide, if you still need any helps, don’t hesitate to contact us at Noo Support Center. Hopefully, you will enjoy using NooTimetable! Thank you for choosing our theme.